Pleasant taste and tonnes of flavour this made for a great smoking experience. Shocking cigar for the price. 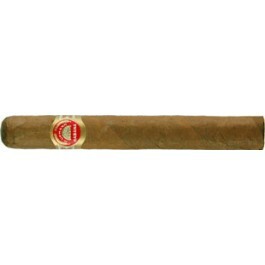 If you are familiar with the H Upmann Petit Corona this cigar is very familiar, just turned down a bit. Creamy, floral, naturally aromatic and sweet, undertones of leather, very mild pepper. True cuban flavor without kicking your can. Great for introduction to cuban cigars or for the enthusiast looking for something on the mellow side. Great aging potenial.